Special Events! 3 weeks of Women’s Coaching & Training Camps! Experience the delights of a road cycling holiday in rural France with top-notch accommodations and inspired cycling routes. 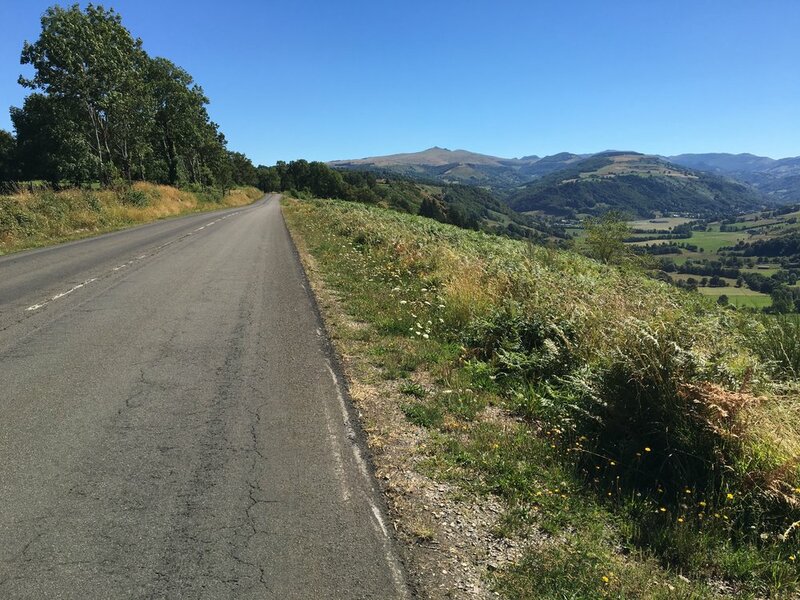 Just six hours from Paris in the department of Correze, the spectacular countryside, varied terrain and lightly trafficked roads make this the ideal location for your next cycling holiday. 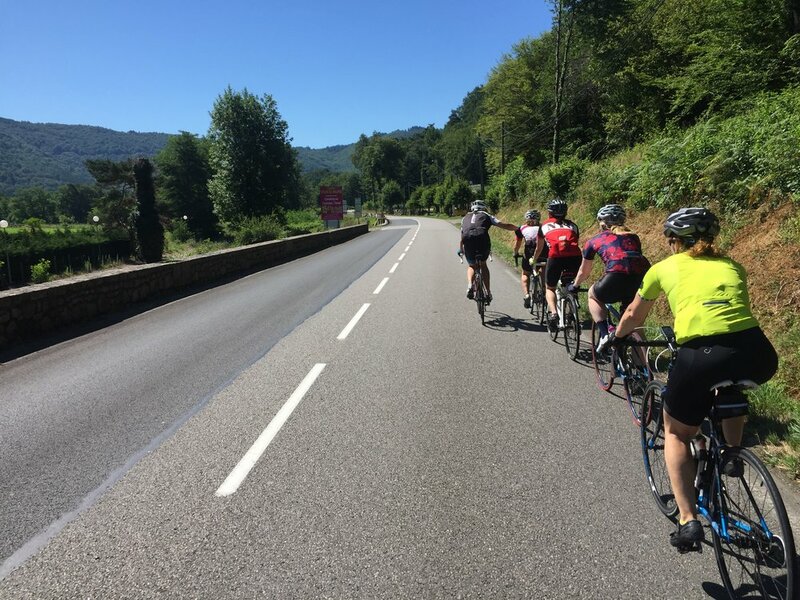 Whether it’s gently meandering valley roads through quaint stone villages, winding descents and climbs in wooded gorges, or the challenges and thrills of the Tour de France cols of the Massif Central, there are options available for every level of cyclist! Friday Farewell Dinner and (drum roll)…Prize-Giving! A one week stay includes an orientation ride and three accompanied rides. On these rides you don’t need to worry about route planning or bringing a map. Just relax, enjoy the cycling and the views! If you are booking as a group of friends or teammates, I will create a bespoke week designed specifically to meet your needs and interests. On days with no organised ride, route maps are available for self-guided rides of various lengths, as well as information about sightseeing and other activities. Whether you’ve spent the day in the saddle or visited a local tourist attraction, you can look forward to relaxing in the superbly renovated nineteenth century farmhouse and garden. A perfect place to unwind! At the end of the week, celebrate your achievements at our Friday Farewell Dinner with a four-course dinner at the top local restaurant in the area. Prizes awarded in recognition of accomplishments (on or off the bike!). To get more out of your holiday, check out our Special Events page. In addition to spectacular cycling, Correze is a fantastic location for outdoor activities including canoeing, climbing, hiking, horse riding, golf and paragliding. Whether it’s the simple pleasure of a coffee on the quay at Argentat or a visit to the Padirac caves, the delightful tourist attractions, amazing scenery and relaxed atmosphere will make this a holiday to remember. 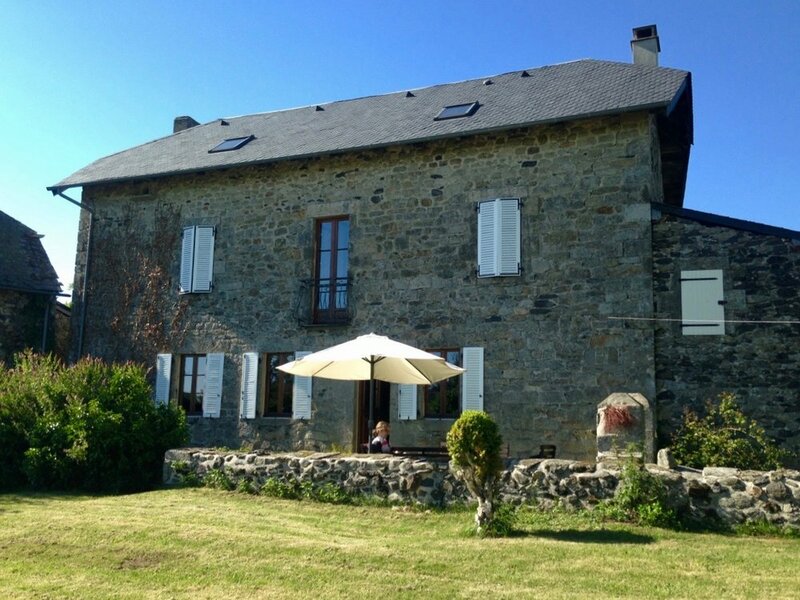 "If blissfully quiet county roads, quintessential French countryside and villages, and staying at a beautifully restored farmhouse are up your alley – then wow, is this the trip for you! Not only is Diane a highly organized and very thoughtful host, she is super fun to ride with."